Follow all the steps for installing PHP manually on your Windows 7 system, before you configure php to work with IIS. 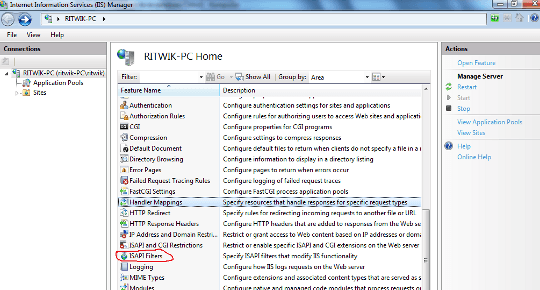 Make Sure that you have IIS up and running with ISAPI Filter installed. 1. Click on Start, in the Search programs and files type "inetmgr" and press Enter. Internet Information Management window opens, Now double click on Handler mappings. 2. 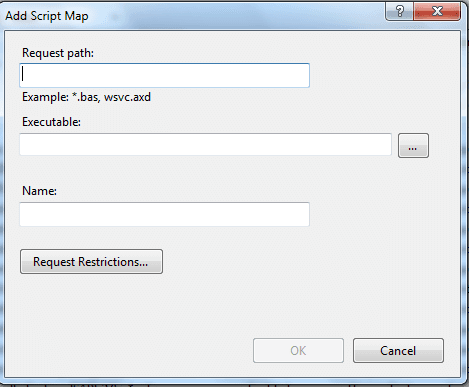 Now click on the Add script map. 3. In the Add Script Map window, add *.php in the Request path, click the button next to Executable and select php5isapi.dll file from php installation folder (i.e. D:\php, if you have installed php on D), add a name like php in Name field and click OK.
4. Go back to the previous screen of Internet Information Manager by click on the blue arrow on the left corner of the screen. 5. On this screen, double click on the ISAPI Filters. 6. Click on Add on the next screen. 7. Add *.php in the Filter name and select php5isapi.dll from the php installation folder by clicking on the button next to the Executable field. 9. Testing if PHP is installed properly. 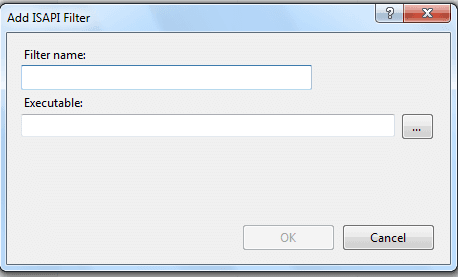 then your php installation is working properly on IIS in Windows 7. 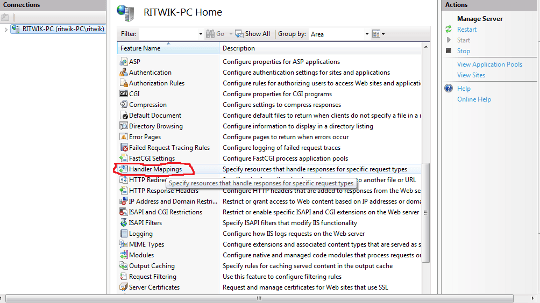 A similar process can be followed for configuring PHP to work with IIS on Windows XP.